Now in a new updated version, Kurcinka offers parents the most up-to-date research, effective strategies and real life stories for: managing intensity - not just the kids, but parents too; getting the sleep every family needs and deserves; choosing their battles; helping children to hear their instructions; assisting children in getting along with siblings and peers; and, being successful in school and at home. 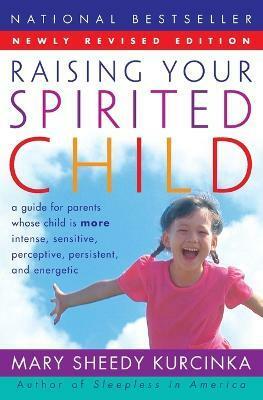 Spirited children possess traits we value in adults, yet find challenging in children. Studies now show that these children are 'wired' to be more reactive to the world around them. The solution, rather than medication or punishment, is understanding temperament and working with it. Kurcinka in a supportive, warm style is able to reveal to parents how to do it, often leading them to ask, 'How did she get into my home'? Winner of the Parents' Choice Award, voted one of the top twenty books for parents, and a real life saver for parents, this updated version is eagerly awaited by parents and professionals. Mary Sheedy Kurcinka, Ed.D., is the director of ParentChildHelp. She is an award-winning lecturer and parent educator. Dr. Kurcinka provides private consultations and workshops nationally and internationally for parents and for professionals serving families and children. She is also the bestselling author of Raising Your Spirited Child Workbook, Sleepless in America, and Kids, Parents, and Power Struggles.